Today marks the 10th birthday of Sauce Labs! Looking back on #10YearsOfSauce makes us proud of the company and culture that we’ve built. We asked Saucers what their favorite memories are over the years and came up with a list: some funny, some serious, and some creative! Without further ado, please enjoy our top 10 great moments in Sauce Labs history, in honor of this milestone. 1. The first test on the Sauce Labs platform. The very first test recorded in our database was run by our co-founder Steve Hazel, on January 9th, 2009, at 2:00:14 a.m. PST. The script had to wait over two minutes to get assigned to a virtual machine, and it ran for just 33 seconds! Our database doesn't record the platform, but Steve knows it was Firefox 3.0 on Linux, because that was all we supported when we first brought the system up. It used the old Selenium RC protocol, back in the days before Selenium WebDriver. It recorded no logs, screenshots, or video, because we didn't have those features yet. So much has changed in 10 years. Back then, we didn't have an office yet, or funding, or salaries. But just over a month later, we would have users. 2. THE VERY FIRST SELENIUM CONFERENCE. We were pleased to help the Selenium project and core contributors organize the very first official Selenium Conference. Held in San Francisco in April, 2011 it was the first opportunity for members of a growing Selenium community to get together for three days of presentations, workshops, lightning talks, and hack sessions. And my, how things have come along since then - we continue to be heavily involved with helping the project organize SeConf, having just come off the Bangalore event and looking forward to SeConf Chicago this coming October. 3. 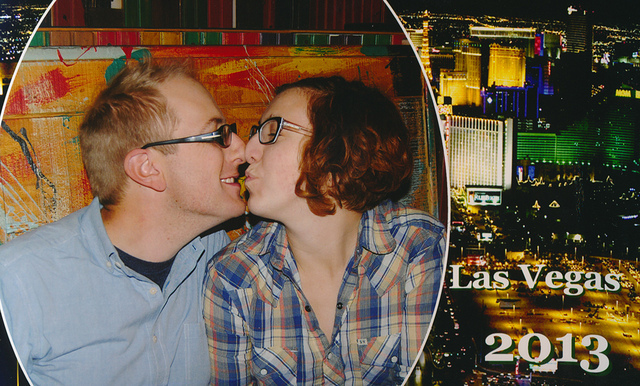 That time a guy used Sauce Labs to get married in Las Vegas. Most unique use case for Sauce ever, or most unique use case for Sauce ever? When a user decided to get married spontaneously in Vegas back in 2013, he used Sauce to spin up a Windows machine running IE6 on his Macbook to fill out Nevada's marriage license form. This was the one and only time we heard of this happening! This has become something of a holiday tradition around here, but this 2015 song was our first foray into songwriting and performing. This recording is complete with some impressive harmonies, appearances from some of our Sauce dogs, and even a few outtakes. Enjoy our many varied talents! 5. When we launched the new Sauce Labs brand. We rolled out a new logo and new branding the week before Thanksgiving (or Saucegiving as it’s known around here) and our marketing team had a ton of fun giving out different swag items throughout the week to celebrate. Here's the first of five different cards. 6. 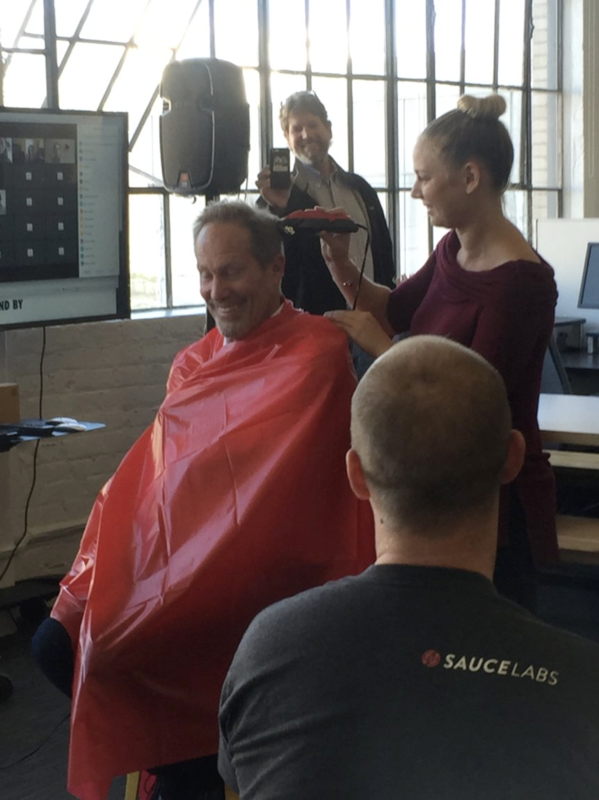 THAT TIME our CEO HAD HIS HEAD shaved in the office. This memorable event took place toward the end of 2016, when we closed a round of funding. Throughout the fundraising process, our CEO Charles Ramsey kept telling us he was going to shave his head when it was over. We wondered if he might be joking… but apparently not! Other than the in-office haircut, however, the most notable thing about this is that the funding we received then enabled our next favorite memory. Read on! 7. WHEN TESTOBJECT JOINED THE SAUCE LABS FAMILY. In December of 2016, we acquired TestObject, a real device mobile app testing platform in Berlin, Germany. Combining TestObject and Sauce Labs enabled us to provide automated testing coverage across desktops, emulators, simulators, and real devices for web applications and mobile, web, hybrid and native apps. Plus, it came with a fantastic team! We are thrilled to be working with the folks in Berlin every day. 8. When we ran our billionth test on the Sauce Labs platform. In March 2017, we ran our billionth test! Well, we should clarify: actually Walmart eCommerce ran the billionth test on our platform. This felt like an especially important milestone, because we ran 500 million tests in only one year. It took us seven years to run the first 500 million tests, but then only one year to reach a billion! 9. Selling out our first ever SauceCon. When we planned our first SauceCon user conference for June of 2017, we planned to have 150 attendees, but the event ended up being oversold with more than 160 users! The inaugural SauceCon was a three-day event filled with training, workshops, best practices and content from the leading minds across the automated testing community. We’ve continued the tradition, hosting a second sold-out event in 2018 with twice the number of attendees! Look for announcements on SauceCon 2019 coming soon. 10. The day we hired our 200th employee. 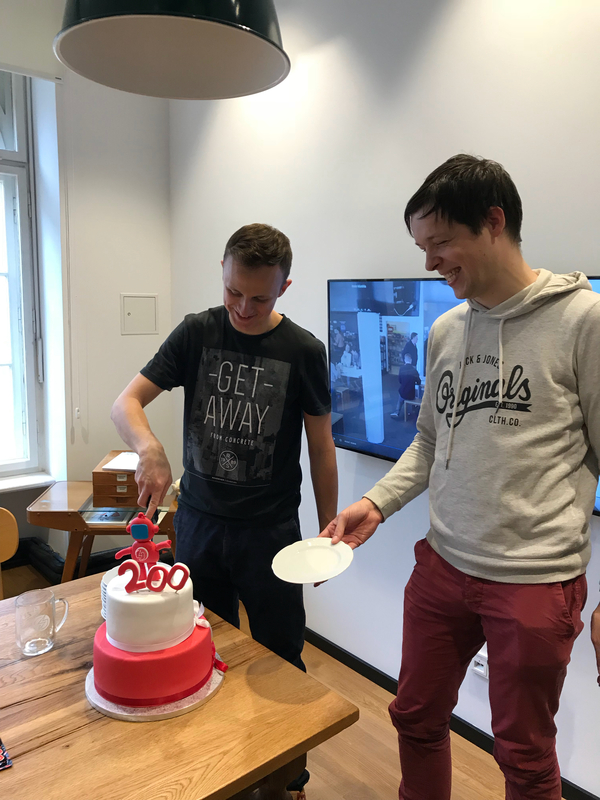 On March 13, 2018, we hit another big milestone: hiring our 200th Saucer! Gracjan Grala joined the team and we celebrated with a cake and some fun office festivities, including our chief revenue officer Tucker Callaway jumping through one of the “0” balloons from our office celebration.